Leading rugby brand Canterbury unveiled their exciting new England Rugby kit on 19th September 2012 marking the beginning of a 4-year sponsorship deal with the RFU. 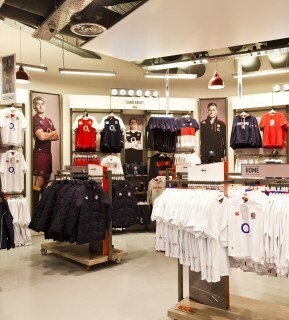 Having worked with Canterbury over the last couple of years we were delighted to be involved in the kit launch and helped transform a large part of the RFU store at Twickenham! 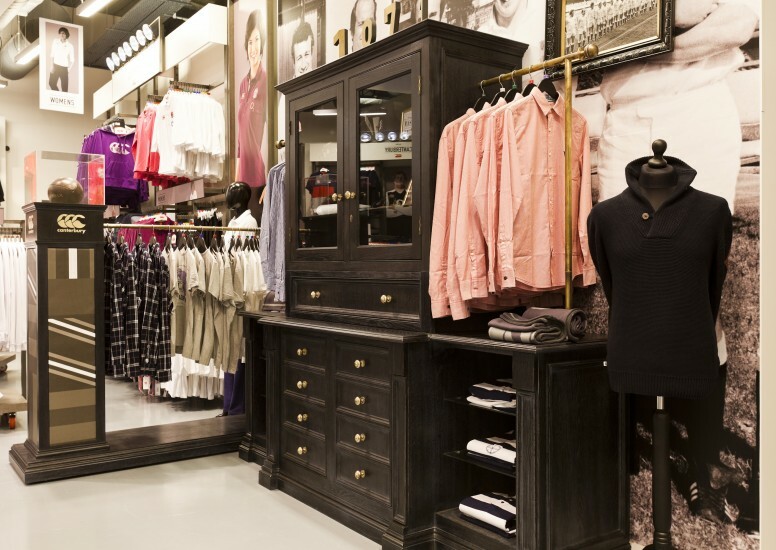 The shop in shop area can be seen from everywhere in the store and we have made a feature of the entrance with a large Canterbury logo with a bespoke lighting scheme which runs the entire length of the back of the store. A large graphic showing players in the new kits stands out and adds impact to the kit area. The main product area is very old meets new with purpose-built gondolas and back wall for the main and a heritage style unit which hangs product. A black and white image with old sporting heroes creates a great backdrop to that particular area. 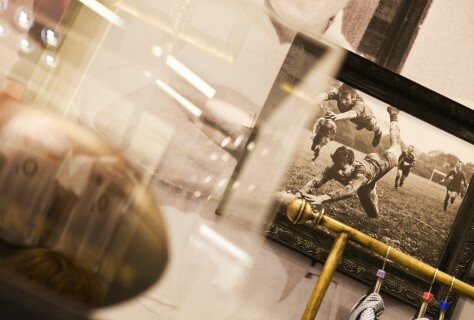 One of the stand out features is the changing room area which has a pictorial timeline of the Canterbury brand and involvement in rugby. 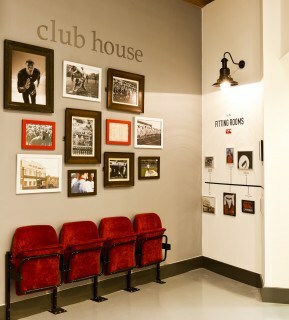 On approach, we have designed it to look like a ‘club house’ complete with dugout style seating and photos past and present. 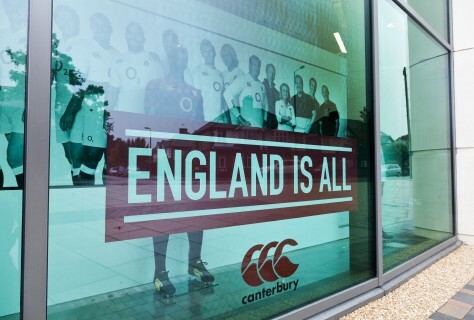 It’s been great to watch Canterbury grow as a brand and see their involvement with the RFU unfold and we are pleased to be working on associated projects at this time!